Shoot The Aliens And Save The BoB's Galaxy. 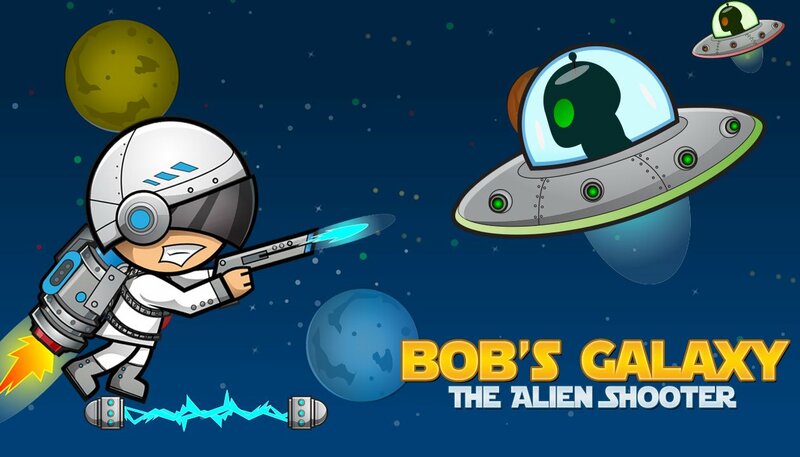 BoB'S GALAXY- THE ALIEN SHOOTER- In this game You are shooter Bob and your Galaxy is in Danger as the aliens from other galaxy are attacking to your galaxy.So bob you have to save your galaxy by shooting the aliens with space Gun. At some point you will get some powers to help you save your galaxy.There are two powers one is shield and another is Space bomb to Destroy the aliens. You will also get The coins to make score SO LETS SAVE THE BoB's Galaxy. I really like the lighthearted visuals and art design. Good luck on your promotion!